Previously called the Express Tour, the Makin' Memories Tour is approximately 1-1.5 hours . 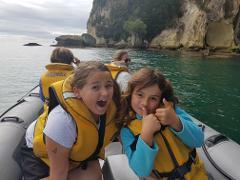 You'll see a variety of places inside Mercury Bay, including Cathedral Cove and view the fish in the crystal clear waters of the Marine Reserve. The Limitless Tour (previously the Scenic and Sounds Tour) is approximately 2- 2.5 hours long. 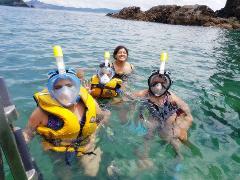 Not only will you see the beauty of Mercury Bay but also NZ's 2nd largest sea cave - Orua Sea Cave and there is also a snorkeling option!